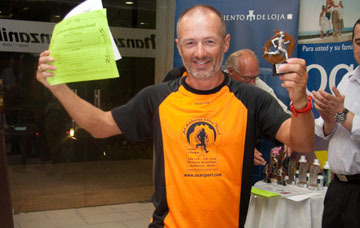 The winner of the Al Andalus Ultimate Trail 2009 was Raul Morales Lopez, who completed the race in 21:40:42 hours, and finished first in each stage except for the last where he placed 7th. 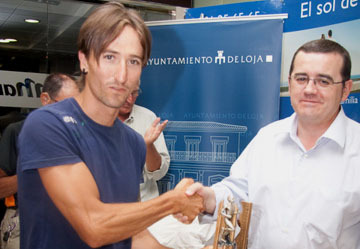 Congratulations to Raul on a fantastic effort and we hope to see you again in 2010! ” OK – we must be mad. Can you put Team KIS down for 2010 please ?. We don’t want to miss out on the opportunity of reliving all the good, and not so good, memories – and we want a team prize this time ! ” – Penni Dymond. ” You know it already but I really enjoyed the week. Loved it and kind of proud i did it. And you guys are awesome !! ” – Jo Anne Beine. 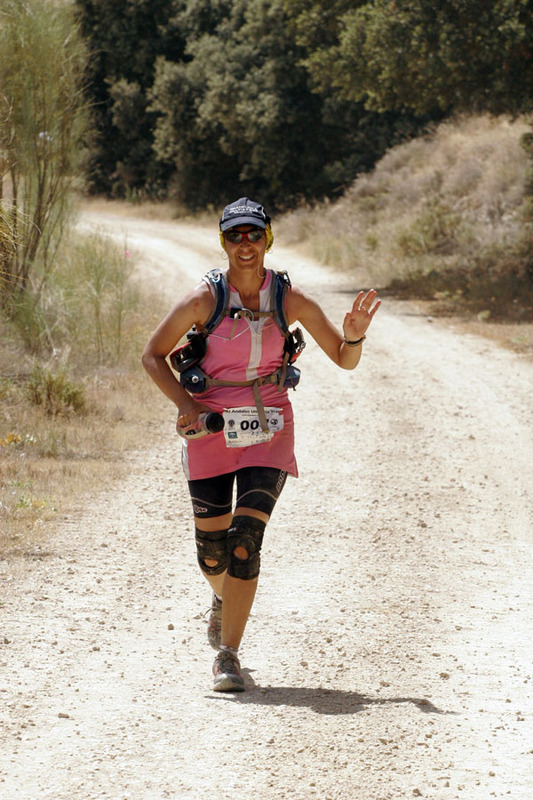 ” … how the hell could i felt so at home in the Al Andalus Ultimate Trail. 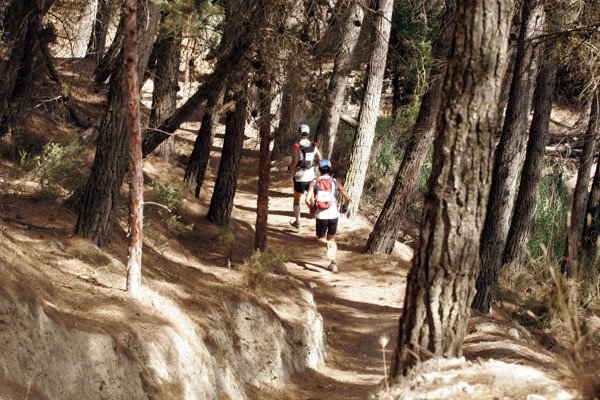 It got everthing we don’t have in holland….trails, mountains, dust and heat. And still despite a very tough race i loved it ! 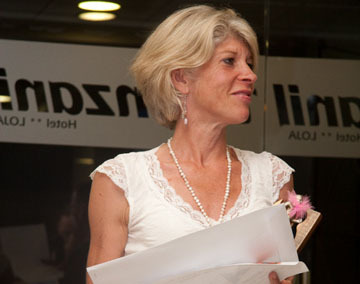 ” – Martine Hofstede. ” This is a slightly belated thank you from me and Andrew for a great week. We both thoroughly enjoyed ourselves, and Andrew reckons it was one of the best weeks of his life. All of the crew were fantastic, and although I hesitate to single out anybody, I know Chris in particular made a big impression on all the British competitors – nothing was too much trouble for him. I’m sure the race will go on to become one of the classic multistages and I feel priviledged to have taken part in the first edition. I aim to come back – maybe in 2009 or 2010 – its too early to say yet – which I think is the best compliment I can pay. I’ve also been recommending it to a few other interested parties. For me, you got it 99% right: I was happy with the stage lengths, the routes; CP provisions, and if you made no changes at all. ” – Colm McCoy. ” … I just wanted to thank you for one of the best experiences in my life, it was amazing, at times I felt like giving up, but with all your encouragement I just had to keep on going. The support and back up team were second to none and everyone was so friendly. The whole event was just so slick. I hope to see you all again in the future. Many Thanks. ” – Joe. 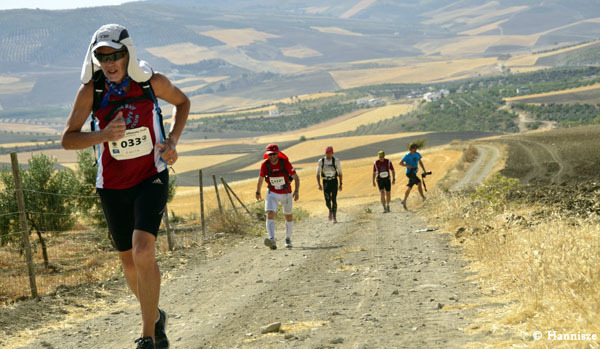 ” I found the Al Andalus Ultimate Trail a truly amazing and rewarding experience, with a back up and support team second to none. ” – Joe Evangelista. ” The race was a true test of physical and mental determination ! The unrelentless sun in combination with the ascents and descents made it one of the toughest weeks of my life. But the scenery, the Spanish food in the villages each night and the race organisation has got me longing to be back. A huge thank you to everyone involved for making is such a memorable week ! ” – Joakim – The Namibianviking. 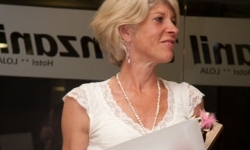 ” …once again, Thanks and congratulations for putting on an excellent event. I am sure that it will become an established “must do” in the near future. ” – Mark Woolley. ” … tell the whole organization has been wonderful, I have felt very happy and I enjoyed a lot with the stages, please give thanks the organization, everything was well done and very professional. 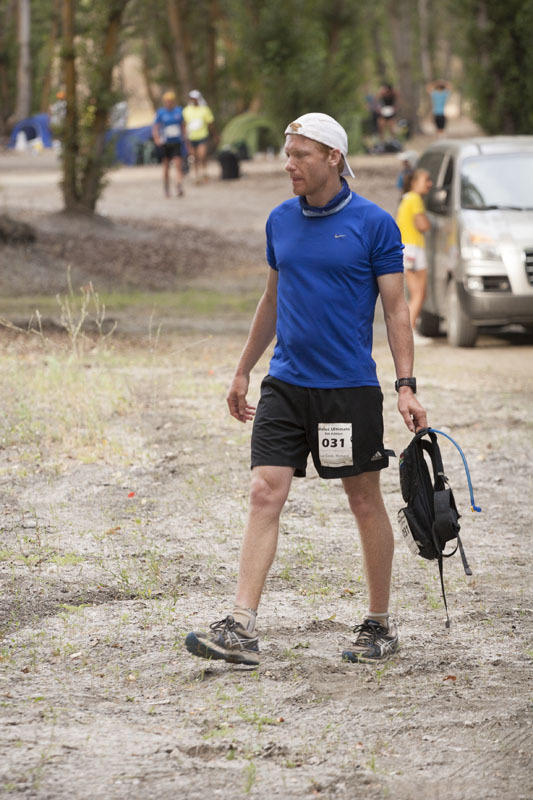 Always remembered this as the hardest race of my life and yet the most enjoyable. Receives a cordial greeting. Your faithfully, Ps. I hope you understand all I wrote you. 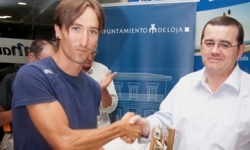 Best wishes,” – Joaquín Fdez. 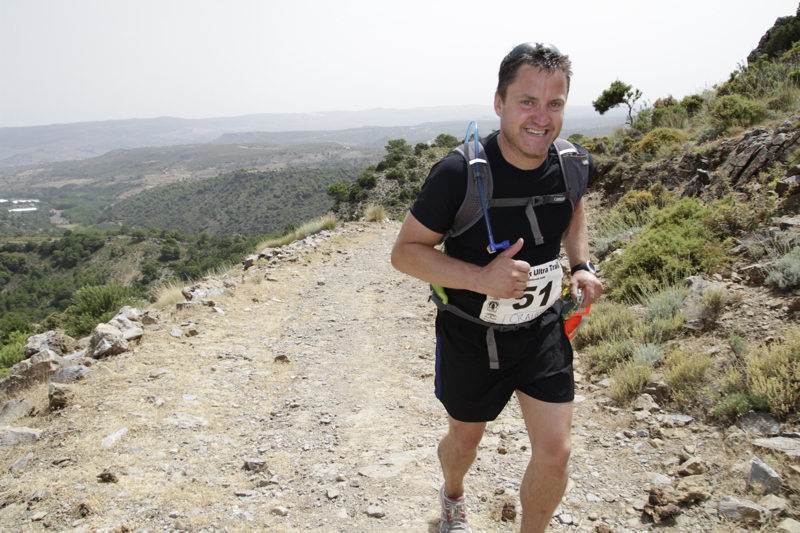 ” Here is a brief review of the Al Andalus 250 km stage race 2009. 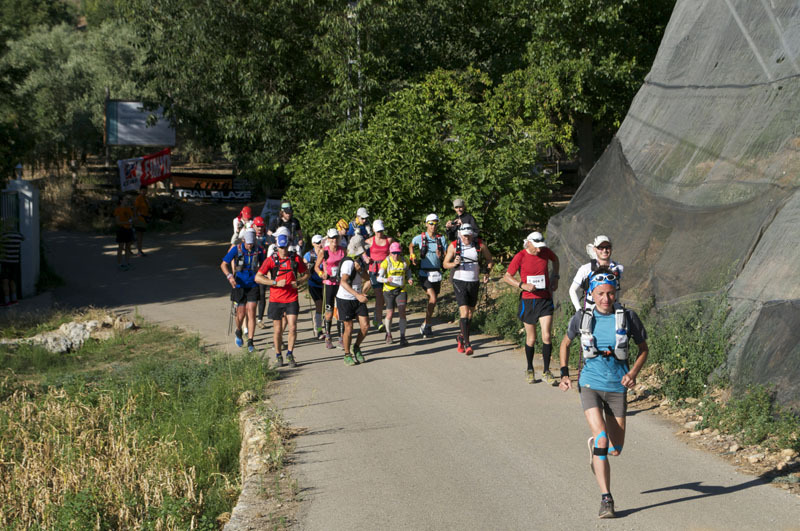 Although a description of this event appears quite daunting on the surface, the redeeming aspect is the phrase “stage race” which, with the proper training, makes it a very satisfying and practical run. The 5 stages were made up of a 57, 46, 44, 51 and 37 kilometers on consecutive days that ended up being around 230km over a mix of very steep and rolling off road 4×4 tracks. 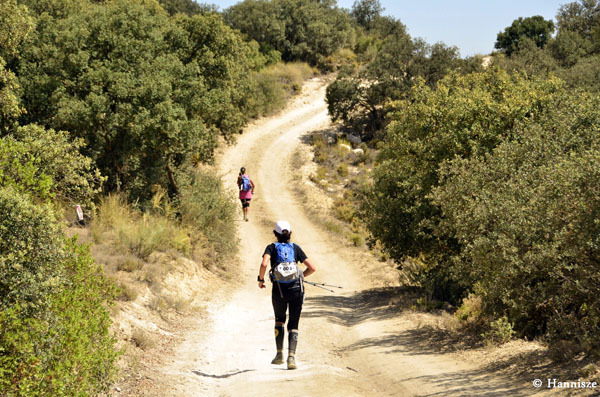 The first and toughest day out of Lioja had us climb 1400m over 4km in 30 degree temperatures rising to 39 on the flats to the town of Alhama de Granada. The climbs continued on day 2 but it was also a huge day for downhill folks. However it was not without casualties with about 20% of the field dropping out with heat related difficulties. As good as day 2 was for myself, day 3 proved to be a real handful with a tenuous hold on to 3rd place overall. All stages finished with overnight camps set up in villages whose restaurants were well patronized by competitors and organizers. 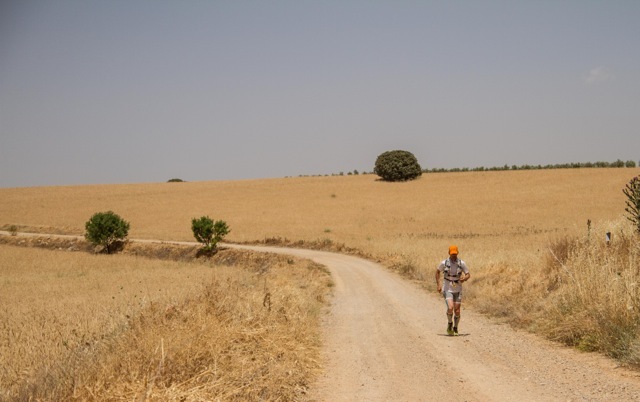 The field had become very fragmented over the first 3 days so the slower runners set off an hour earlier on day for to help relieve the volunteers at checkpoints who did an outstanding job of support in the relentless heat. 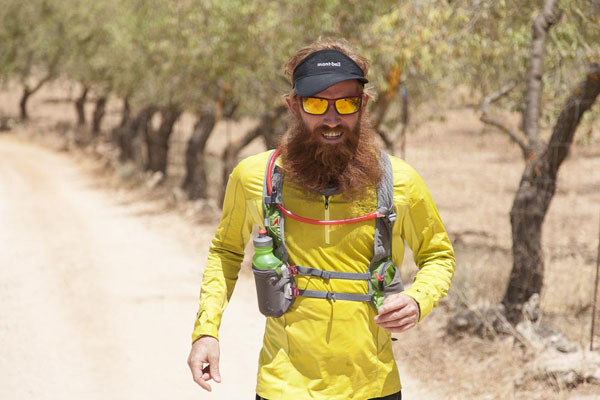 Local all-round athlete Raul Morales had a commanding 1 hour lead on the field which enabled him to nurse exhausted knees on the final stretch back to Lioja but 2nd, 3rd and 4th places were very tight in the end. Mark Woolley went in with a 27 min lead over me and there was a 13 min gap back to Colm McCoy. I was unaware that Mark had some serious muscle and kidney issues urinating blood but he manage to finish just 2.38 seconds ahead in overall standings. The final night at prize giving was a celebration of outstanding success for this inaugural event and can only get better in the years to come. I highly recommend it for anyone wishing to combine a great holiday destination, meeting of fellow extremists and a very manageable run. 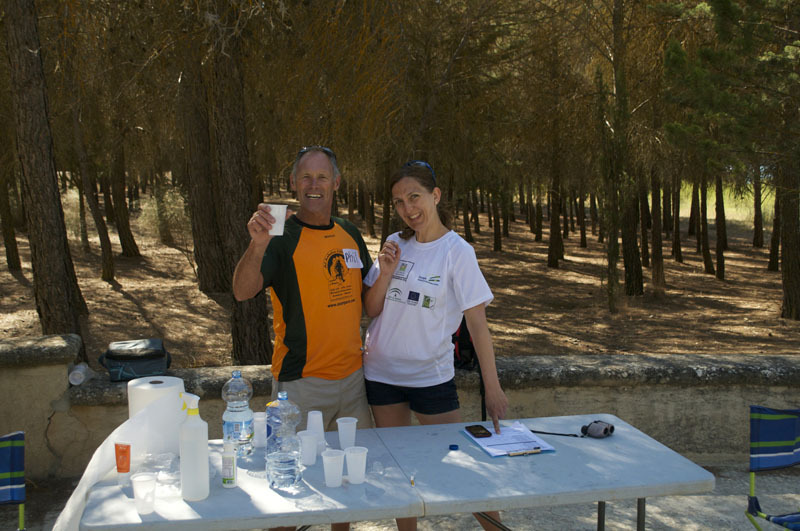 It would be great to see a reduction in plastic bottles for water distribution and some cut off times to relieve the support crews.” – Paul Hewitson. 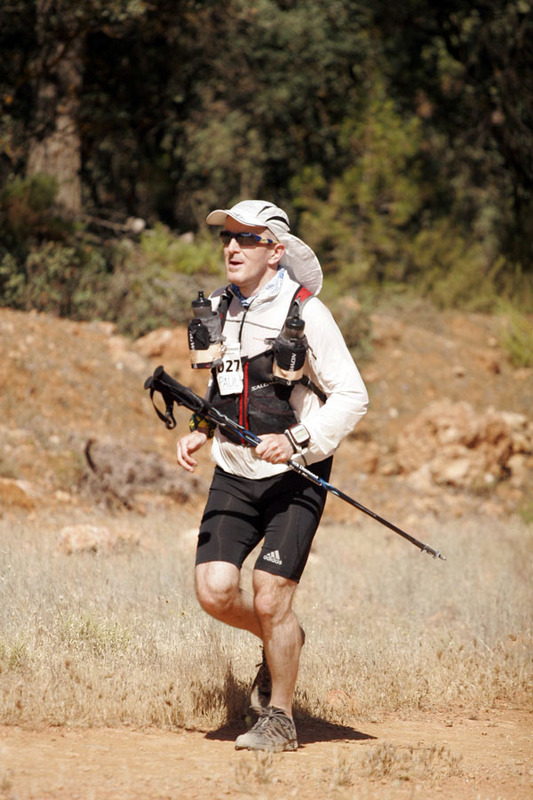 ” Représentant de l’ultra-trail d’Andalousie en France, j’ai été ravi de faire venir un bon groupe lors de cette édition 2009. Les retours que j’ai eu de ce groupe sont très positifs.Les coureurs Français ont apprécié l’épreuve au niveau de l’organisation tip-top, la convivialité,le parcours. Cette une épreuve difficile en raison de la distance et de la chaleur,un beau défi sportif. Cette course est appelée à un bel avenir. 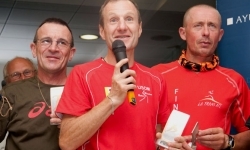 J’espère amener en 2010 à nouveau un bon groupe de coureurs Français. ” – Gérard Verdenet. 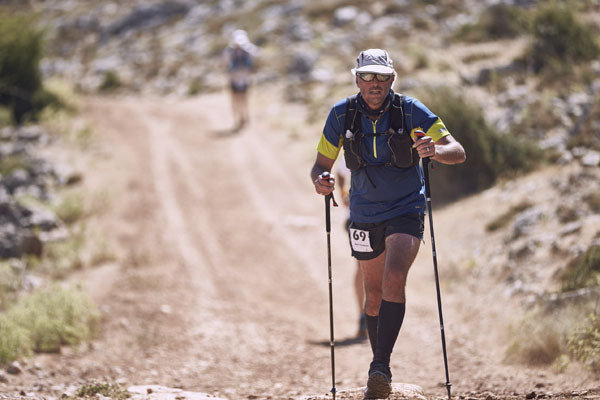 ” Having been the French representative for the Ultra Trail this year, I was delighted to have been able to find a competitive group of runners from my country, and the feedback I received from them was thoroughly positive. 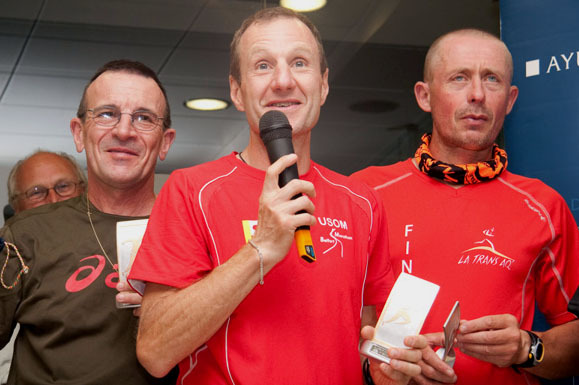 The French participants enjoyed the challenge of the race, they found the organisation to be of top-quality, and thought the atmosphere was warm and welcoming. 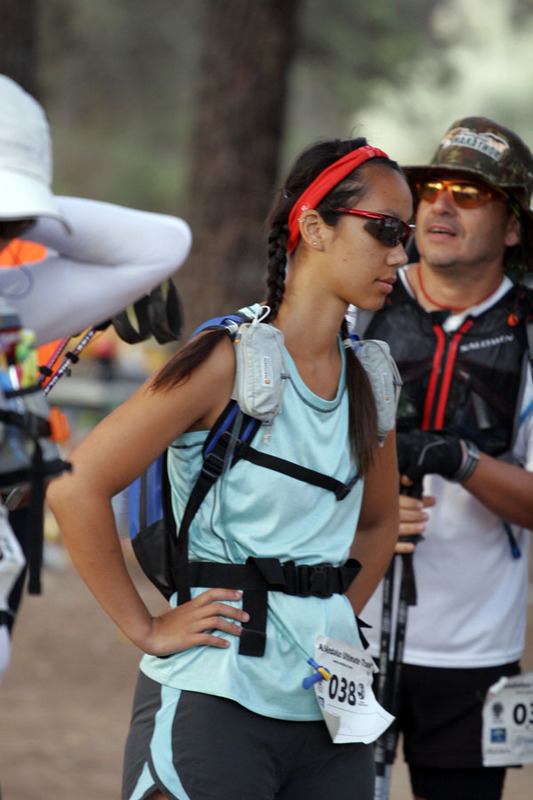 It is indeed a very difficult race due to the distances and the heat, which makes for a great athletic event. I think it has a promising future, and I hope to provide another good group of runners for next year’s edition.” – Gerard Verdenet.